The Quad City Wind Ensemble’s annual operating budget relies on funds from individuals and corporations. 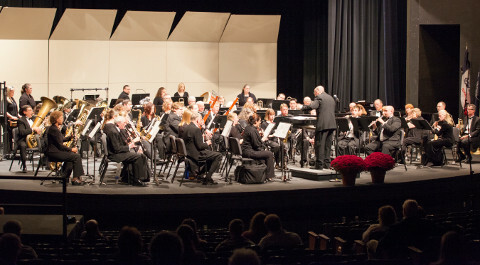 Ticket sales provide only a very small percentage of the monies needed to support the operations of the wind ensemble. 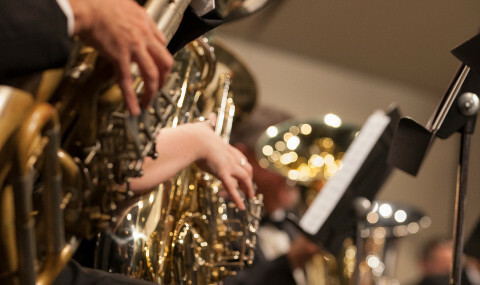 Some of the ways to contribute to the Quad City Wind Ensemble include Sponsorship, Supporters, and Advertisers. We also thank all of you who donate through the Birdies for Charities program. Sponsors – We have availability for Season Sponsors and Charles B DCamp Young Performers Competition Sponsors. Click here to find out more about the benefits of sponsoring the QCWE and to complete the contract. Supporters – These are typically individuals who have donated to the QCWE general operating fund, or for a specific use. Giving can always be done anonymously. Click here to learn about the different levels of support, or to submit your donation today. Advertisers – Advertising in our program books is a great way to tell our audience about your goods and/or services. We can assist you with your ad creation, or take print ready documents. Click here to learn more about our rates and to complete a contract. Questions regarding supporting the QCWE can be directed to any member, or to info@qcwindensemble.org. Thank you for your continued support!